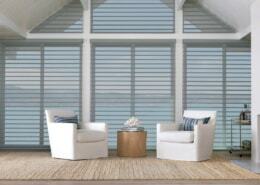 Stylish Nantucket Window Shadings are a tasteful choice throughout the home. 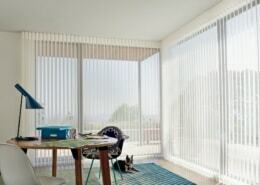 Their 3” fabric vanes are suspended between two sheers for effective light control and UV protection. 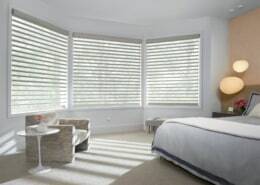 These shades block up to 88% of harmful UV with the vanes open and 99% with the vanes closed.